Create expectations that make you a better cook. We taste what we expect to taste. Use two words to explain your meals, and they will taste better e.g. Adding traditional, Cajun, succulent, or homemade before a meal actually makes the meal taste better. Give detail to the atmosphere where you will eat your meal, and the meal will taste better. Use nice dishes, candlelight, music…………… etc. Don’t deprive yourself. 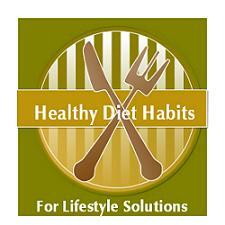 Diets deprive you of the food and lifestyle that you enjoy. They focus on calories, do not take into account how you grew up, or the billions of dollars spent on food marketing that you must resist. Eat comfort foods in smaller amounts, because a small amount goes a long way. Eat what you love. Rewire your comfort foods, called the 4C’s (cookies, candy, chips, and cake), by making new favorites. Women tend to like the comfort foods in positive situations (happy 86%, celebration or reward 74%), rather than negative moods (depressed 39%, bored 52% lonely 39%. Happy moods equal comfort foods. Our comfort food preferences become fixed when we are adults, not children, so it is never too late to develop new comfort loves that are healthy. Do not eat the entire container of ice cream, but try frozen yogurt with half fruit. People either eat their favorite food first, or last, according to birth order. Oldest children tend to eat their favorite foods last as a reward. Kids further down the birth order, tend to eat their favorite foods first, because they had to eat it while they could. This could lead to long term habits of filling up on high calorie foods and skipping healthy foods. Try filling up on fruits and vegetables first, and saving your favorite foods for last. Don’t use foods as a punishment, reward, or guilt, or as comfort for your kids. See Healthy Kids! Expose your family to lots of variety. Talk of the goodness of healthy foods. Use the half plate rule. For lunch and dinner, half of your plate should be vegetables and fruits, and the other half a starch and protein. Spaghetti and meat sauce is not a balanced meal. Make serving sizes official. Serve snacks in pre-done amounts and put the rest of the snack away. Be careful of portion distortion from fast food. Our bodies love the taste of fat, salt and sugar, so fast food fits those loves. We want variety, convenience and value. We get it. People, who eat at Subway, think it is healthy, so they actually eat more and underestimate their calories. People, who eat at McDonalds, know that it is unhealthy, and accept it. Food labeling, like calorie charts, only influence a small segment of people. Super-sizing is never a bargain! By trying to incorporate these Mindless Eating Strategies 6to9, in your life, you can begin to develop Healthy Diet Habits and Lifestyle Solutions for weight loss and weight control. You can order Brian Wansink's, Mindless Eating book directly from Amazon.com below. It is one of my "Top 10 Recommended Books" to read!